Here is something special today - one of my favourite, blink and you'll miss it sites in the whole of London. If you should happen to find yourself in Victoria - maybe on your way to the theatre perhaps (after all, both the mega popular Hamilton and the equally popular Wicked are here), just have a look around before you cross the road. Should you take your time to look, you may just find yourself confronted by something that looks both similar and different at the same time. 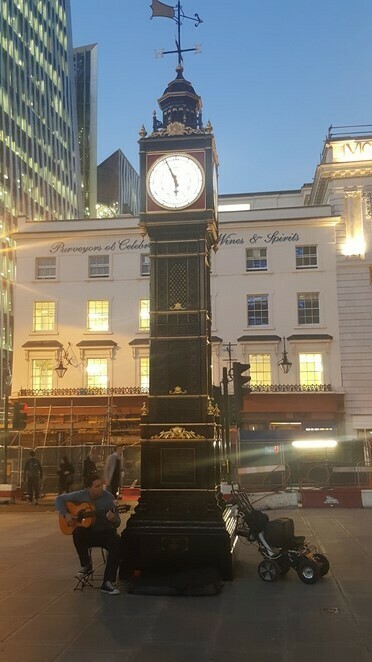 Sitting rather unassumingly across from Victoria station is Little Ben, and yes the name comes from the fact that it is an exact replica of the Elizabeth Tower (not Big Ben remember, as that is the bell inside). Now, there are two reasons why I love this version more than the larger, more famous version. The first, it is much, much smaller (in fact it is probably only about 5 metres high) making it very, very cute in my humble opinion. The second is this version is cast in iron and painted black and gold, making it one stylish timepiece. On close inspection, it just gets better. On the base of the clock tower you can actually see an apology printed - "Little Ben's Apology For Summer Time - My hands you may retard or may advance, my heart beats true for England as for France" - the idea being that the clock originally was meant to stay on daylight saving time, so the clock would sometimes be wrong for the UK, but right for France - fitting, given that the clock is a gift of Anglo-French relations. 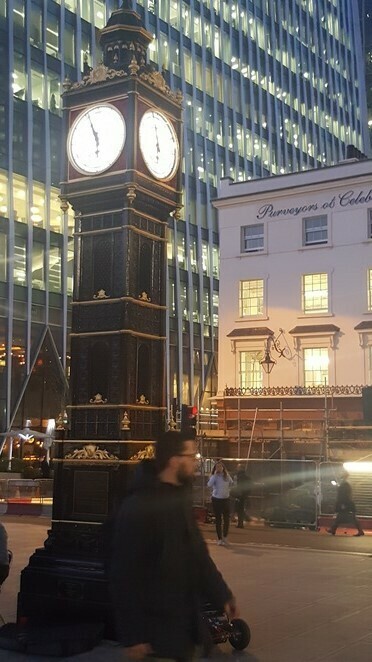 There are various other little features to spot, but I will leave that up to you, as I recommend you go make a visit to this less famous, but much more beautiful little clock tower.